You gotta find a place in your heart for a movie with a title like this. 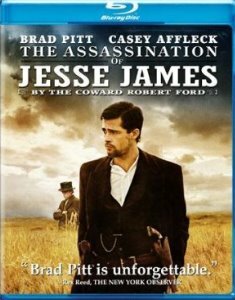 Its melancholic story is not so much about the moment of execution, or even what led up to it directly, as it is about what made it possible for a such an obvious, young celebrity-seeking hound like Bob Ford, with little else going for him, apparently, to get close to the usually guarded Jesse James. 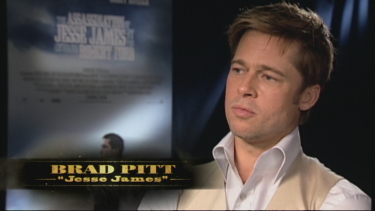 (And in this respect, Brad Pitt gets it about right.) 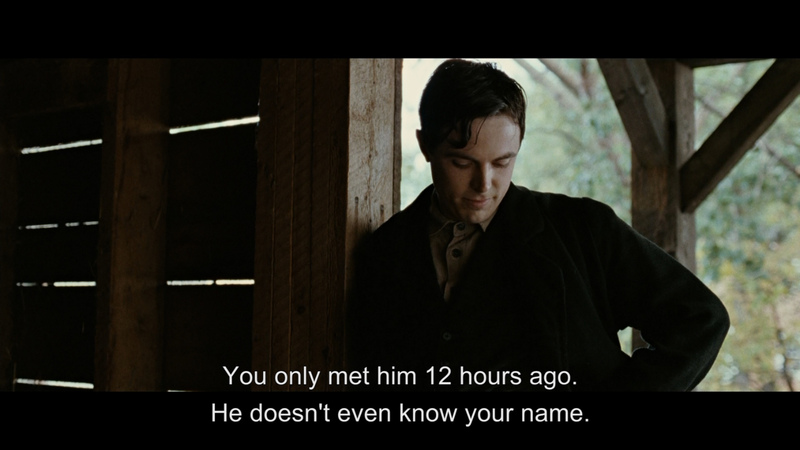 Affleck's Ford is so unctuous in his attentions to Jesse, I wanted to skin him alive half the time. 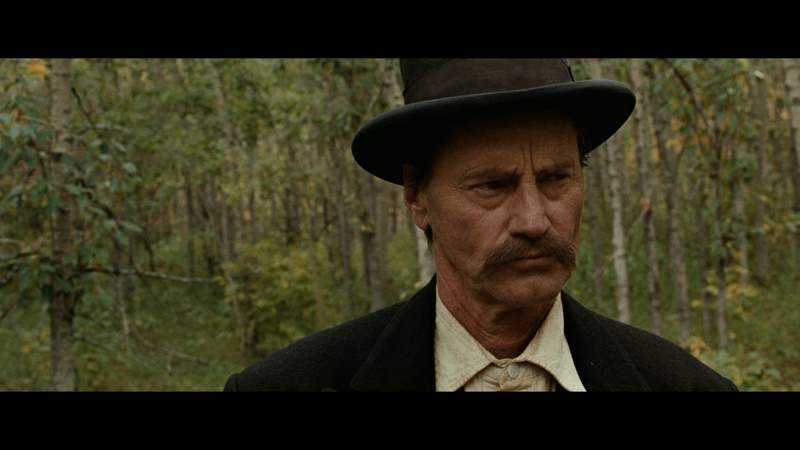 Frank James (Sam Shepard) didn't fall for his line for a second, for all the good it did him, or Jesse. There's a narration that tries to place things in historical context, voiced by Hugh Ross, about whose delivery I can say only that it beats all to hell Costner's mangling of spoken language in Dances With Wolves. All the same, I thought the movie would have played better without it. 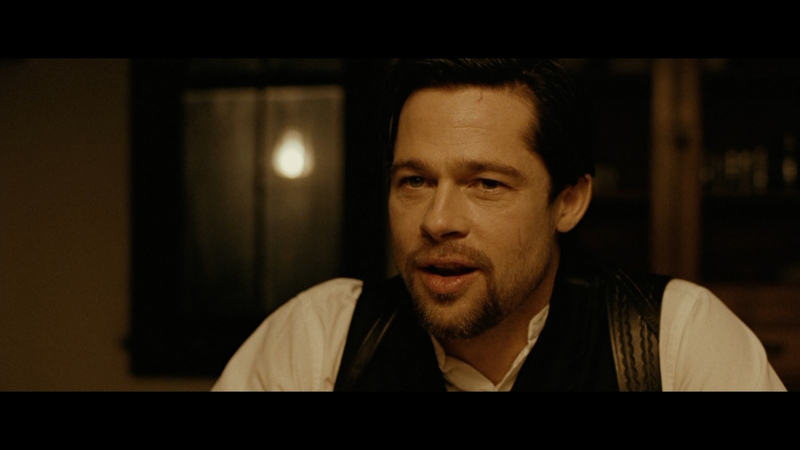 Perhaps the director felt that passive actors wouldn't be able to tell us much. 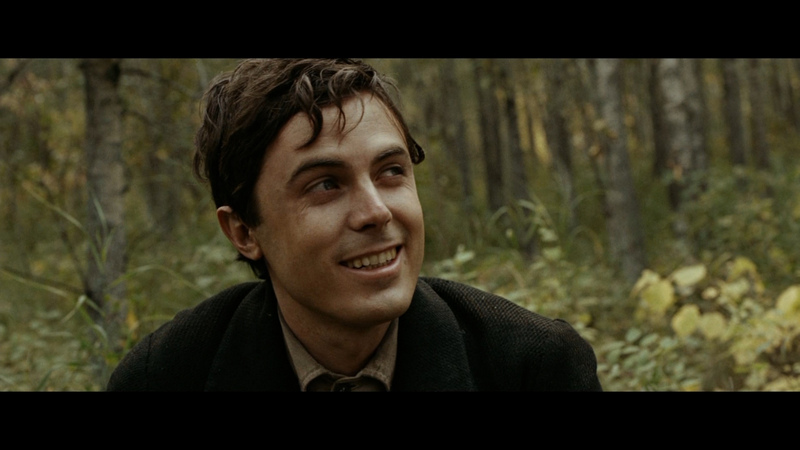 The movie begins with the James Brothers' final train robbery, which netted them less than the expense of the operation. 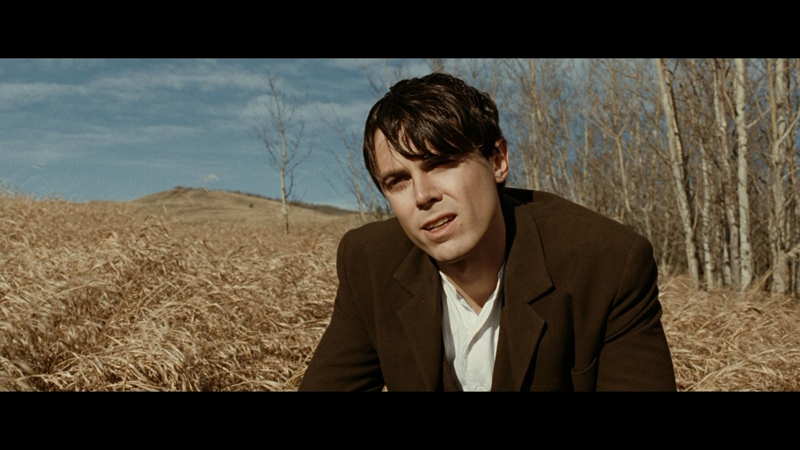 We follow the breakup of the gang and 19 year-old Bob Ford (Casey Affleck) in his brief and climactic courtship of the then 34 year old Jesse. As they say, there's nothing like a sycophant spurned to end things with a bullet in the back. 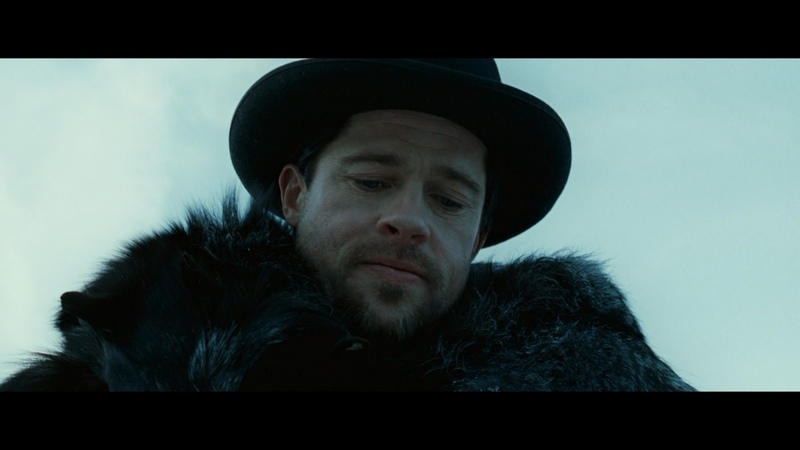 The score of 6 indicates a relative level of excellence compared to other Blu-ray on a 10-point scale. The score in parentheses represents: first, a value for the image in absolute terms; and, second, how that image compares to what I believe is the current best we can expect in the theatre. Halos aren't prominent when zoomed-in but this does have some edge-enhancement manipulation. Characters can often appear like cardboard cut-outs (see Sam Shepard - 2nd capture below). 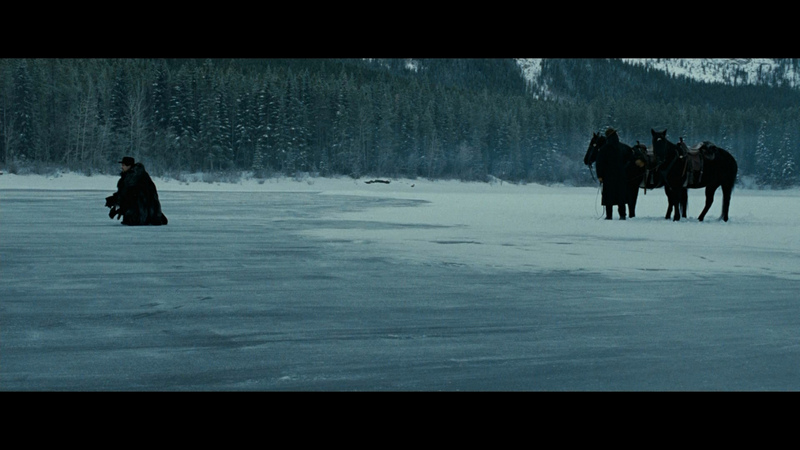 Aside from the film's visual style and Roger Deakins excellent cinematography - this is surely a transfer issue and once noticed looks quite bad. Pushing that aside the image is also a tough one to realize on video – in fact, there was a time, not so long ago, when it would have been something of a wash. Muted, almost monochromatic sepia, night shots with little help from auxiliary lighting, and deliberately blurred partial frames (of which chicanery I am not a fan.) When sharpness in the source is not a priority, and grain is apparent throughout, resolution has to be high in the video to retain a sense of visual coherence. The thing about this aspect of the image here is that it matches the intent, which is antique, rather than modern. What it offers over the SD is some more life in the color which is necessarily thin to begin with as well as improved dimensionality due to its not requiring upscaling. My screen captures look a little less green as compared to Gary's for the SD-DVD. I had fears that the music track was going to be warmed over Ken Burns but, thanks be, the moody score by Nick Cave and Warren Ellis plays like a funeral dirge for the Old West. I liked it. The dialogue is clear enough, not that I didn't feel the need to switch on the subtitles for "translation." Typical of Warner, we get right to the movie before we realize it's started. The menu, though in no way taking advantage of the medium, is easy to make sense out of. 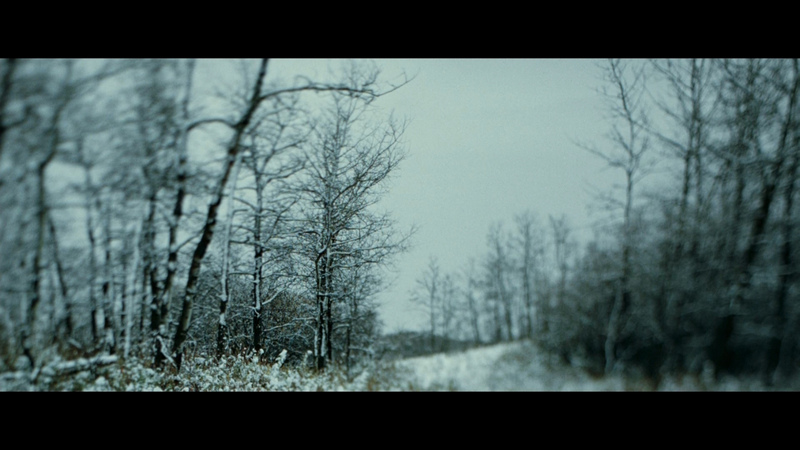 As is typical with Warner Blu-rays, the slightly expanding thumbnails are not titled. Lots of chapters. 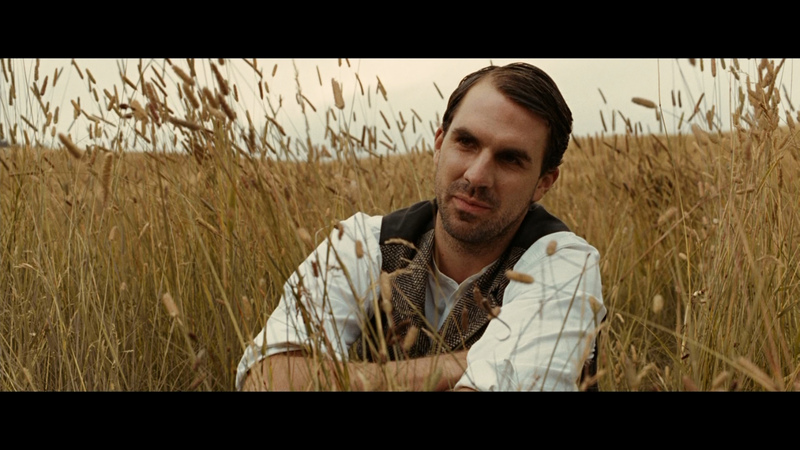 The 31 minute making-of docufeature, The Assassination of Jesse James: Death of an Outlaw, is new for the BRD – the recent SD having no extra features at all. With the help of historians and the present filmmakers the documentary looks at the legend, and historical record, using archival reports. Dramatic recreations and brief clips from the movie. Not bad. 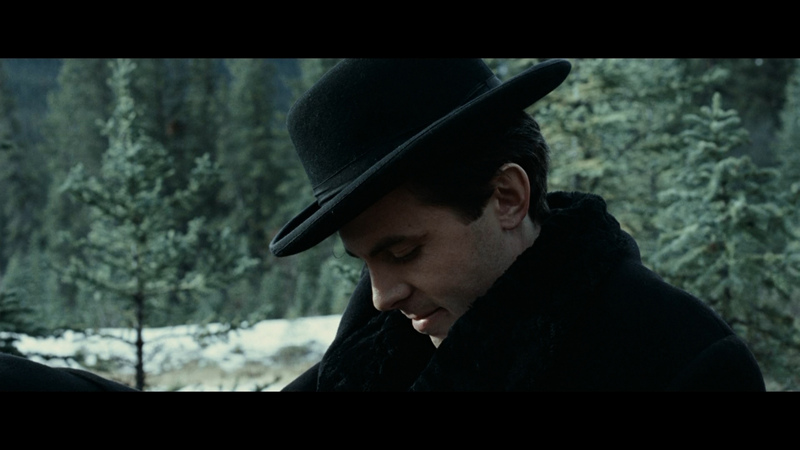 While the movie and transfer are problematic, it is definitely worth seeing for the cinematography, the music, Affleck (if you can endure his character), and the revisionist stroll down memory lane.